Jacob breed of sheep (Ovis aries), from Bide a Wee Farm). This week's feature taxon will, I'm sure, be familiar to most of you. Even kids in the depths of urbania will usually learn at some stage that cows say "moo" and sheep say "baa". Today's subjects are the Ruminantia, the primary group of large herbivorous mammals on the planet today. Including such animals as sheep, cattle, goats and deer, ruminants are also one of the most significant groups of animals in modern human lifestyles. Modern ruminants fall into six families. The vast majority of modern ruminant diversity is contained within two of those families, the Cervidae (deer - 16 genera) and Bovidae (cattle, goats, antelope, etc. - 48 genera), particularly the latter. The Tragulidae (chevrotains or mouse deer) are two or three genera of small inhabitants of Old World tropical forests. The Giraffidae includes just two genera - the giraffe (Giraffa) and okapi (Okapia johnstoni). Finally, two genera are assigned families of their own - the pronghorn (Antilocapra americana) and the musk deer (Moschus). Fossil-wise, there are a whole host of extinct families, mostly of small deer-like animals, and some of the smaller living families - notably the Giraffidae and Antilocapridae - were much more diverse in the past than they are now. Banteng (Bos javanicus), a species of wild cattle native to south-east Asia that has been introduced in northern Australia. Photo from here (Warning: hunting website, in case any of my readers object to such things). Ruminants are best-known for their impressive digestive systems, which are regarded as the secret of their current success. Most other mammals living mostly on low-grade plant matter (i.e. browsers and grazers) are what are called "hindgut fermenters" - the beginning of the large intestine forms a large chamber where bacteria break down the cell walls of the plants eaten, releasing the nutrients that would otherwise be locked within into the digestive system. Hindgut fermentation is a fairly simple system, but the problem is that it is relatively inefficient. By the time the plant matter has reached the large intestine, it has already passed through most of the digestive system, leaving only a relatively short distance in which the released nutrients can be absorbed. Most hindgut fermenters compensate for this inefficiency by being very large, their concordantly large guts allowing more time for digestion*. A good example of this can be seen in the gorilla (Gorilla sp. ), a specialised folivore (leaf-eater) that is considerably larger than its close non-hindgut-fermenting relatives. *One exception to this pattern is the Leporidae (hares and rabbits), which have a different method of getting around the limitations of hindgut fermentation - they eat their own faeces, so passing their food through the digestive system twice. Ruminants, in contrast, are foregut fermenters. In ruminants it is not the large intestine but the stomach that has become enlarged and subdivided to contain fermentative bacteria (the so-called "four stomachs" of cattle - Janis & Jarman, 1984a). Ruminants also complement the digestive process by regurgitating and further chewing their food ("cud-chewing") when not directly grazing. Because the plant cell walls are broken down before passing through the majority of the digestive system, ruminants are able to derive far more nutrients from their food than hindgut fermenters. They are also able to subsist on feed on lower quality, which lead to their taking over as the dominant grazers when the climate cooled and grasslands spread during the Miocene. Barren-ground caribou (Rangifer tarandus groenlandicus), a member of the Cervidae. Photo from here. 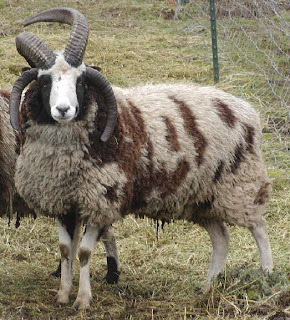 Phylogenetically, it is well-established that the Tragulidae are the basalmost of the living ruminant families, the remainder forming a clade called the Pecora. Chevrotains have a less-developed rumination system than other ruminants - while they have four stomach chambers as in other ruminants, the third chamber is poorly developed. Within Pecora, relationships are more controversial. While it seems that Cervidae, Moschus and Bovidae form a clade to the exclusion of Giraffidae and Antilocapra, it is unclear whether the latter two taxa form a sister clade to the other pecorans, or a paraphyletic series. It also has recently been suggested that Moschus may be sister to Bovidae, in contrast to its traditional position closer to the Cervidae (Hassanin & Douzery, 2003). Were one to broaden the investigation to cover the various extinct taxa, the situation just degrades to a hopeless mess. Part of the reason for this confusion is that homoplasy seems to be rife within the ruminants. The most intriguing feature of the group for me is the repeated evolution of horns or antlers (technically, cranial appendages). Four of the five living pecoran families have some form of cranial appendage, and indications are that they have arisen independently in each family. This is reflected in the different structure of the appendages in each family (Janis & Jarman, 1984). Bovids have permanent horns of bone covered with a layer of keratin. 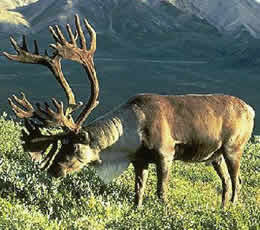 In Cervidae, the antlers are deciduous bone, and are shed and regrown annually. Giraffids have ossicones of permanent bone covered with a layer of skin. The horns of Antilocapra are permanent bone as in Bovidae, but the outer layer of keratin is shed annually. 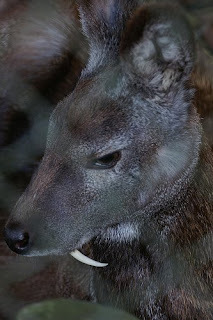 The Tragulidae and Moschus, which lack horns, both have enlarged canines (the above photo of a musk deer by Ben Cooper shows just how enlarged). Enlarged canines are also found in the deer genera Hydropotes (the Chinese water deer) and Elaphodus (the tufted deer), which have small antlers (Elaphodus) or lack them altogether (Hydropotes). There seems to be a rough inverse relationship between enlarged canines and cranial appendages, where the development of the latter is generally (though not invariably) correlated with the loss of the former. Interestingly, recent phylogenetic analyses indicate that Hydropotes is actually nested among antlered deer, indicating that it regained enlarged canines as the antlers were lost (Gilbert et al., 2006). Again, when the extinct taxa are factored in, the picture becomes even more complicated. For instance, the Climacoceratidae are an extinct family that dental features indicate is related to the Giraffidae, and which had ossicones similar in structure to those of the giraffids (albeit long and branched in some forms, so similar in appearance to a deer's antlers). However, the basal members of the Climacoceratidae lack ossicones, indicating that they were evolved independently in the two families (Morales et al., 1999). The most dramatic armament among fossil ruminants was perhaps that found on the Mediterranean endemic Hoplitomeryx, found in the Miocene on what is now Monte Gargano on the eastern coast of Italy, but was then a separate island (Hassanin & Douzery, 2003). Hoplitomeryx, as shown in a reconstruction above from Scontrone, had a grand total of five horns on its head, as well as long dagger-like canines (providing an exception to the horns vs. canines rule mentioned above). It has been suggested that the overdone armation of Hoplitomeryx may have evolved as a defense against the large birds of prey that would have been its major (indeed, its only) predators on Gargano. Gilbert, C., A. Ropiquet & A. Hassanin. 2006. Mitochondrial and nuclear phylogenies of Cervidae (Mammalia, Ruminantia): Systematics, morphology, and biogeography. Molecular Phylogenetics and Evolution 40 (1): 101-117. Hassanin, A., & E. J. P. Douzery. 2003. Molecular and morphological phylogenies of Ruminantia and the alternative position of the Moschidae. Systematic Biology 52 (2): 206-228. Janis, C., & P. J. Jarman. 1984a. The hoofed mammals. In All the World’s Animals: Hoofed Mammals (D. Macdonald, ed.) pp. 28-39. Torstar Books: New York. Janis, C., & P. J. Jarman. 1984b. Even-toed ungulates. In All the World’s Animals: Hoofed Mammals (D. Macdonald, ed.) pp. 58-59. Torstar Books: New York. Morales, J., D. Soria & M. Pickford. 1999. New stem giraffoid ruminants from the early and middle Miocene of Namibia. Geodiversitas 21 (2): 229-253. As always an interesting and educational post, Chris. But can I implore you to remove the "width" and "height" tags on your profile pic? You could if I had the slightest idea what that meant and how to do it. My computer illiteracy strikes again, I'm afraid. I'll look into it, nevertheless. What are you seeing, offhand? Wow, great write up. The artiodactyls always get a bum wrap on the natural history programs, seeming to serve merely as fodder for enticing the supposedly more charismatic carnivores. But their diversity and adaptations really make them the star of the show to me. While it seems that Cervidae, Moschus and Bovidae form a clade to the exclusion of Giraffidae and Antilocapra, it is unclear whether the latter two taxa form a sister clade to the other pecorans, or a paraphyletic series. It also has recently been suggested that Moschus may be sister to Bovidae, in contrast to its traditional position closer to the Cervidae (Hassanin & Douzery, 2003). Were one to broaden the investigation to cover the various extinct taxa, the situation just degrades to a hopeless mess. Your portrait is (and has always been) stretched horizontally. Not too flattering. A better solution would be to fix the width and height attributes (they're not tags) to the actual size of the image.